Preheat oven to 425°F. 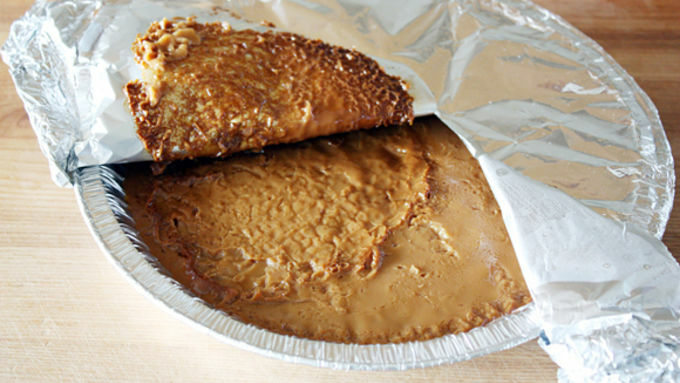 Pour both cans sweetened condensed milk into a pie plate. Cover plate tightly with foil. Place pie plate in center of a rimmed oven-safe pan or baking sheet. Pour boiling water into pan, enough to reach halfway up the sides of the pie plate. Bake until milk is thick and golden brown and becomes toffee, about 2 hours, adding more boiling water to the pan every half-hour to keep it at the halfway mark. Remove pie plate from pan and pour toffee into a bowl. Place bowl in refrigerator and cool 1 hour. Meanwhile, bake the crust: Heat oven to 450°F. 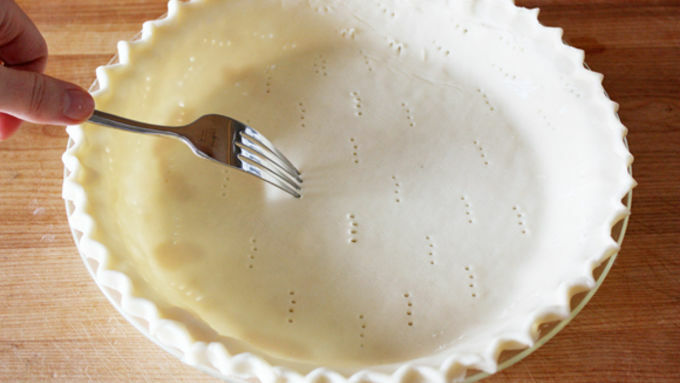 Press pie crust evenly into the bottom and sides of an ungreased pie plate; poke bottom and sides with a fork. Bake crust until golden brown and set, about 10-12 minutes. Remove from oven; cool completely on cooling rack. 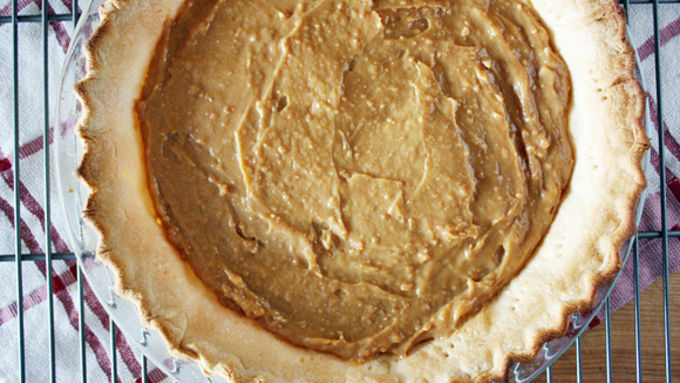 Pour chilled toffee into bottom of fully cooled pie crust; use a spatula to spread evenly. Place pie in fridge and chill 1 hour. Remove pie from fridge. Slice bananas and sprinkle on top of toffee. In a large bowl or bowl of a stand mixer, whisk together heavy cream and sugar until stiff peaks form, about 5 minutes. Spoon whipped cream over pie. Top pie with shaved chocolate, if desired. 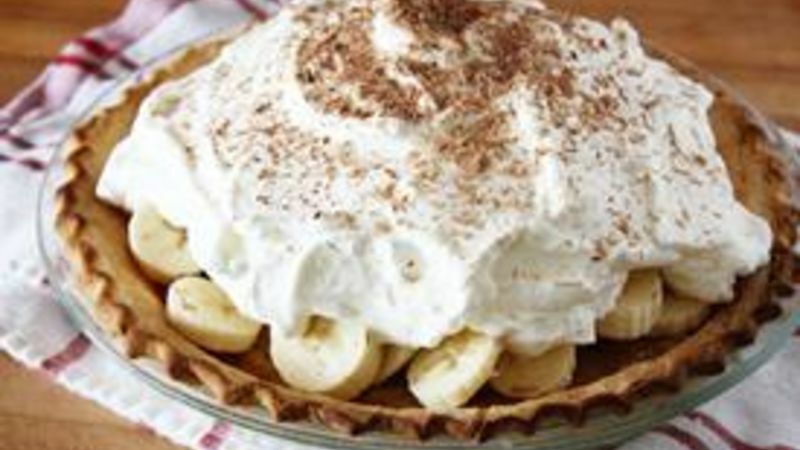 Just when I think I can’t possibly love pie any more, along comes this thing called Banoffee Pie (a.k.a. 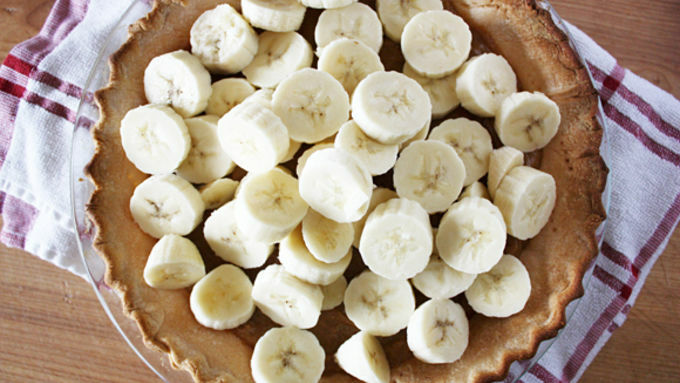 banana toffee pie) and I’m a GONER. There’s no saving me from my pie love – except for when there’s no more pie. 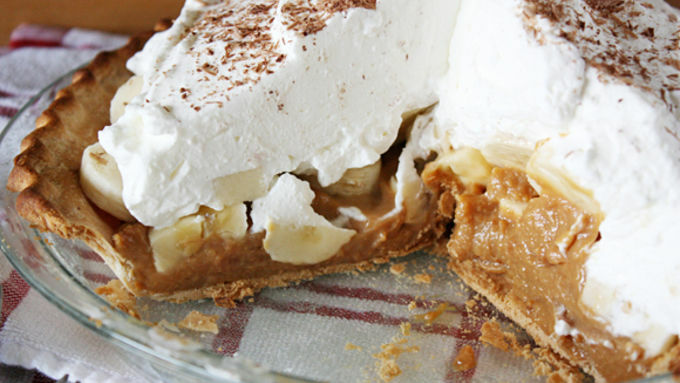 Luckily, this pie is ridiculously easy to make, so when I inevitably finish off this banoffee pie, I can whip up another one all easy-peasy like. Oh, boy – this could get dangerous. Let’s talk about pie! 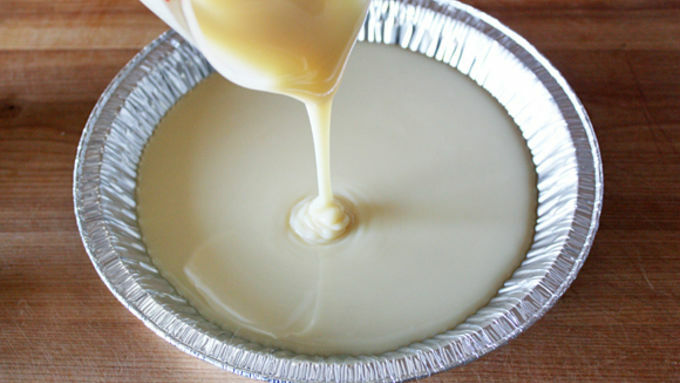 When you pour the sweetened condensed milk into a pie plate, make sure you use a pie plate that can withstand high temperatures for long periods of time, a.k.a. don’t use a glass pie plate. Otherwise bad things may happen in the oven, a.k.a. explosions. Bake up this pie for any holiday festivities you’ve got coming up that requires a delicious dessert. Oh and then invite me over, mmmmk?